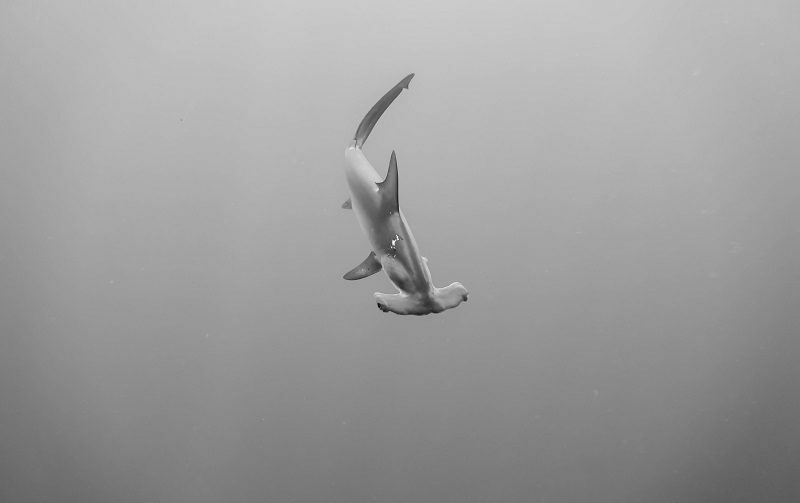 Hammerheads and pelagic life. 2 banks, 2 adventure dives looking for big animals. Gordo Bank inside and outside are located 8 and 10 miles offshore San Jose Del Cabo. The outside bank is an underwater seamount with a top at 180 ft. Here we usually drift in the blue and expect any kind of big marine life encounters. Scalloped hammerheads, silky sharks, manta rays or even humpback whales during the season have been seen there. The inside bank is the second seamount with a top at 120 ft, known for the large numbers of hammerheads often gathering there, the dive site is also home of different pelagic species and large groupers. Please be aware that encounters are not guaranteed.